An arrogant prince tries to bluff his way out of paying the bridge troll’s toll, only to find that honesty really is its own reward. Judy Moody dreams up her best-ever prank on Stink, but he finds a hilarious way to make her joke fall splat. And when a boy’s grandfather plays an elaborate trick that has the whole town laughing at him, can he use it one day to big-time advantage? 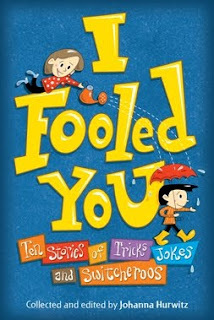 Edited by acclaimed children’s author Johanna Hurwitz, this collection of stories -- all woven around the phrase "I fooled you" -- range from a comic graphic tale about clever chimps to thought-provoking explorations of fairness, empathy, eccentricity, and the power of imagination. How many different ways can ten leading middle-grade authors tell a story including the line "I fooled you"? Prepare to be surprised! And today I'm especially thrilled to be able to feature a Guest Teaching Author interview with Johanna Hurwitz herself. In the interview, Johanna shares a bit about how the anthology came to be, and also about her own experiences as a Teaching Author. She has also generously agreed to provide an autographed copy of the anthology for one lucky TeachingAuthors reader. You'll find details about the giveaway following the interview. 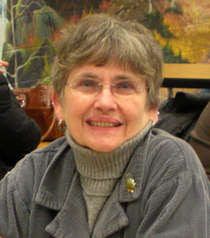 Although I've never met Johanna Hurwitz in person, I have long been familiar with her work as the award-winning author of over 50 books for young readers, including picture books, novels, and biographies. Two of her recent titles are Amazing Monty and Squirrel World. You can read more about Johanna at her website. Johanna, can you tell us how you became a Teaching Author? I was a school librarian and then at one of my positions, I was asked to teach reading. I guess I did too good a job because before I knew it I was asked if I could teach writing as well. I drew the line when the school director, realizing that I knew how to type, asked if I would type up all the teachers’ student evaluations. 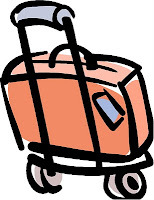 Subsequently, after several of my books were published, I was invited to teach summer writing workshops at Hofstra University on Long Island and a three-day workshop at the University of Vermont. What’s a common problem/question that your students have and how do you address/answer it? That sounds like a great Writing Workout for teachers. Do you have any suggestions for how teachers might also use some of your books in the classroom? (Morrow, 1995, now available in paperback from Avon), and now I Fooled You (Candlewick, 2010), take a single premise and have different authors write their own version. A teacher could read aloud one or two stories from one of these books and then ask students to write their own story. The important thing to stress is that there is not a correct way to write the story and each is different. Another suggestion is in conjunction with my three-book series about Ali Baba Bernstein: The Adventures Of Ali Baba Bernstein (Morrow, c1985, now available in paperback from Avon), Hurray For Ali Baba Bernstein, and Ali Baba Bernstein Lost & Found. Ali Baba’s real name is David but there are three other Davids in his class. In order not to be confused with the others, he picks a new name for himself. I ask students to discuss with their parents the name(s) they were given and why. Surprisingly, many don’t know if they were named after another family member. Then I ask them to write about their name. Also, if they were going to change their name, what name would they select and why. Each chapter in the books begins with David Bernstein’s age (for example, eight years, six months, seventeen days). It’s a great exercise to have the students figure out their exact age, too. I Fooled You anthology. Would you tell our readers where you got the idea for the anthology and how you collected the stories for it? Had you already written your story when you sent out the invitation to other authors? With the success of my first anthology Birthday Surprises (NCTE Teacher’s Choice Book, Junior Library Guild selection, starred reviews), people said to me, “You found the only subject that would work this way.” I wanted to prove them wrong. After much thought, I got the idea to write a book called APRIL 31st. I wrote my own story and came up with about two other stories that would work as well. However, when I discussed this subject with Candlewick editor Sarah Ketchersid, she felt it was too limiting a topic. We discussed it and eventually decided to have all the stories show someone playing a trick on someone else. Sarah and I then made up a list of potential authors. Some are personal writer friends of mine and some are people (like you, Carmela) that I was unfamiliar with but who Sarah suggested. Some of the people that we approached had too many commitments and rejected the invitation at once. A couple never responded. A couple said they’d get back to us but the book has come out and they never did. It was my idea to have a poem and I suggested Doug Florian who is in my writing group. I love his contribution. It’s a great lead-in to the stories in the book. I also felt we should have a graphic tale as there would be no illustrations in the book and a graphic story would break up all the dark print. Sarah suggested Jennifer and Matthew Holm who are famous for their Baby Mouse books. Jennifer didn’t have the time but Matthew offered to do a story on his own. Two authors were so delighted to be invited that they each sent three different stories. I read all six stories and sent them on to Sarah. Coincidentally and fortunately, she favored the same story from each author as I did. I think the finished book is a great mix of humor and seriousness with first person and third person stories, contemporary settings and a historical one, a modern fairy tale, as well as the poem and graphic story. I hope reviewers and readers will agree. Finally, would you share a funny (or interesting) story related to your career as a Teaching Author? The Internet has provided me with messages from all over the world. Last September, I got a letter from a woman who said she heard me speak in 1989 when she was a fourth grader and I did a visit at her school on Long Island. She even still owns the book I signed for her and has a photo of standing in line waiting for my autograph. Now she is a third-grade teacher at a school in Delaware. She was reading one of my books aloud to her class and she told them about meeting me. She said they were very excited about this personal link. I wrote back and in my letter I mentioned that I still make school visits. “Should your school ever consider inviting an author, think about me,” I told her. This was the beginning of a long correspondence, but the ending is that her principal and the other teachers in her school loved the idea, she applied for and received a grant to cover all expenses, and in April I will be visiting the school and having a “reunion” with someone who remembered me after more than twenty years. This anecdote is a wonderful reminder that as an author one never knows when a book we’ve written or a talk we’ve given has influenced someone. Even after a book has gone out of print, it is still available in libraries and via on-line bookstores. Even after a talk is given, our words resonate with our listeners. It’s a big responsibility but it’s also a fantastic opportunity to share ideas and hopefully give something important to our audience. Thanks so much for taking time to share your words with us today, Johanna. I have no doubt they will resonate with our blog readers. Your comments may also raise additional questions in our readers' minds. So, readers, we are offering you an opportunity to ask Johanna your own question. As Johanna would say, "No fooling!" By posting a comment below with a writing or book-related question for Johanna, you will be entered for a chance to win your own autographed copy of I Fooled You: Ten Stories of Tricks, Jokes, and Switcheroos. The book is a fun read, featuring the work of David A. Adler, Eve B. Feldman, Douglas Florian, Matthew Holm, Johanna Hurwitz, Ellen Klages, Michelle Knudsen, Megan McDonald, Barbara Ann Porte, and me, Carmela Martino. If Johanna chooses to answer your question in a follow-up post, then you will be our winner. It's that easy! Do try to ask a unique or intriguing question to increase your chance of winning. Do make sure your question is related to writing and/or children's books. Do provide your email address or a link to your own blog in your comment. Do post your comment by 11 p.m. (Central Standard Time) on Wednesday, March 17, 2010. Do read our complete giveaway guidelines here. Don't enter if your address is outside the U.S. This evening, I will have the pleasure of speaking at the North Suburban SCBWI-Illinois Network meeting on the topic of "Character Names." Instead of having a handout, I've posted some character-naming resources on my personal blog. If you'll be attending the meeting, or would like to check out the links, you can access the blog post here. Good luck to all the contest entrants, and Happy Writing! I think there has been a mistake. I already won this! I fooled you - just for a second. I wondered how elaborate the stories are in the book. Do they have to involve a lot of people to be something that interests the readers or are they just quick and simple? I'll have to get the book and find out. I already have this book so I'm not "in it to win it," but I wanted to thank you for posting this wonderful interview! Johanna Hurwitz is one of the loveliest people on earth and one of my family's all-time favorite authors for emergent literacy...my son learned to read with the help of her RIVERSIDE KIDS series (we've read every single one! ), and now my goddaughter loves them, too! Hurwitz's writing is always on the pulse of what's fun and appealing for kids, and she deserves acknowledgment and a large following. Great job!!! I love the story of your former fan-turned-teacher getting a grant for you to come to the school. I have a couple questions about this. Did you merely let her know your price and then she took it on herself to find the grant? Was it a grant from an arts council? I guess I am wondering how much you helped her or if you suggested the grant avenue to her? When my middle grade novel gets published, I hope to do some school visits around where I live but school budgets right now are not so great. Great post! Sounds like a fun book. My question is...how do I create a main character who has a long way to go to be on the plus side of lovable without alienating my reader? Playing tricks on others or being sarcastic doesn't equate with being sympathetic, so what's the best way to proceed? I have a picture book coming out this fall, Brave Donatella and the Jasmine Thief. I teach college part time and doing a school visit with young students takes me a little out of my comfort zone. How do you make your school presentations interactive, fun and engaging for little folk? Many times we hear advice to a new writer that it takes perseverance to become an author. Could you name your source(s) for perseverance? Or how do you cultivate perseverance in the face of manuscript rejection? No need to enter me, ladies. I'm dropping in to thank Carmela for the e-mail. I've got this posted at Win a Book for you guys. This is the perfect subject for the age group! What's your favorite real-life story on this topic, and did you think it was funny at the time, or only later? I have sketched out the main characters for my novel in my mind,but have yet to name them. I have determined the conclusion and have chosen the title. What do I do next? Where should I begin? Should begin with a story outline? Should I concentrate on fleshing out my main characters? I should mention that there are subplots. This is a great interview, thanks for sharing. My question is how do you know when you have done enough revising and tweaking, or in other words when is a story ready to submit? I enjoyed your interview and can't wait to read "I Fooled You." I enjoy reading older classics with my 10- and 13-year old daughters, and often read YA novels myself. I wonder, sometimes, if stories that honor and foster the innocence and simpler times of children can be written in ways that are fresh and exciting enough for children (and teens?) today, without including the moral dilemmas so prevelant in our current age. Thank you! I'm not a writer really and my children are young. My question relates more to storytelling. My son asks me to tell him a story before bedtime. My stories usually satisfy him and he is starting to tell me stories now too. What are some things I can do to help encourage him to tell stories and develop characters even at a young age? Would/Do you base characters after your students? If so, 1. )how do you decide how much to involve them in the writing? And 2.) does it improve their own writing to let them know that they inspire your writing? Thank you so much.